Microsoft Dynamics 365 | PowerObjects UKThe CRM Minute: So, you want to be a CRM admin? The CRM Minute: So, you want to be a CRM Admin? Home Video The CRM Minute: So, you want to be a CRM Admin? If your organization is implementing Microsoft Dynamics CRM, you might want to consider having an internal CRM administrator to help streamline your implementation as well as provide support for maintaining the system in the future. Learn more about the role of a CRM admin and how they fit into your CRM vision. PowerObjects has a wide variety of resources for CRM admins to help them be successful in their role, as well as options for organizations that do not have a dedicated CRM administrator for their system. Watch the Webinar: Is it cheaper to implement CRM myself? Hi, my name is Patrick. Today we’ll be talking about three main pain points that companies experience when they do not have a CRM administrator and some of the resources that PowerObjects has to help you along the way. 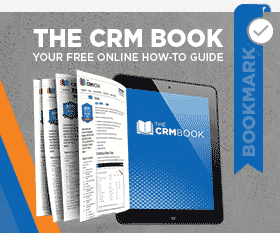 What is a CRM admin? You can think of your CRM admin as a coach for your organization and Dynamics CRM. Their sole responsibility is to understand the capabilities and functions of Dynamics CRM and help implement that into your organization. There are three main pain points for organizations without a CRM admin. The first being lack of user adoption. Lack of user adoption usually stems from the lack of training and knowhow on the users part to effectively use the CRM for their role. The second pain point is that your CRM can become a black hole for your data. Where does it go? The final pain point is when organizations spend unnecessary time and money trying to implement their CRM system. Let’s say you have a CRM admin, that’s great. PowerObjects has some great resources that your CRM admin can utilize. We’ve got educational offerings such as our CRM boot camp, our CRM university trainings, our blog, our webinars, as well as our CRM book online. Now let’s say you don’t have a CRM admin. That’s okay, we also have some great additional resources for you. Along with the other resources I mentioned, we also have a free three days training program called PowerStart. It’s geared towards helping you get started on the right foot with Dynamics CRM. If you are looking for more assistance, we have a great subscription based program called PowerSuccess. In this program you get a PowerSuccess engineer that acts as your CRM admin. For more information on today’s topic and more, check out some of my previous webinars. Also if you’d just like to chat about Dynamics CRM, please feel free to reach out. Thank you for watching today’s CRM Minute! PowerTrivia lets you engage with your clientele through SMS messages in a fun and interactive manner! November 22, 2017 Ashley Waalen	Be the first to comment. Watch R&D North American Team lead, Dave Braun, walk through the four core elements of our latest PowerPack add-on PowerSchedule.